Inclusion in this Oldest Hotels in Germany section is based on there being some of the original structure still in existence rather than those places that have been entirely rebuilt. Naturally, in many cases this will apply to a relatively small section of the present-day building, though in some instances it applies to the majority. Please bear in mind that Nights in the Past can make no guarantees as to the veracity of the reputed age of any of the properties here or elsewhere on the site and cannot be held responsible for inaccuracies. The date information we supply has, however, been previously documented and is in the public domain either on the internet or in print. 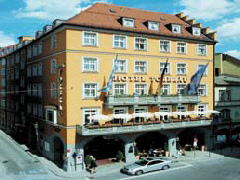 Also see our main historic hotel section for Germany. Note: our main Germany section (hotels connected to famous figures and events) contains other particularly old places to stay. 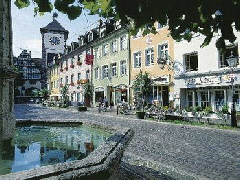 These include: Gotisches-Haus (Rothenburg) - 13th century; Hotel Torbrau (Munich) – 1490; Hotel Elephant (Weimar) – 1542.